parentwin: What Does Corporations Are People Mean? In light of the recent SCOTUS ruling on Hobby Lobby and other corporate giants being allowed to deny women birth control within their health coverage plans because it goes against their religious beliefs, I thought a primer on the laws surrounding corporations as people was in order. - Eric Posner, writing for Slate, reminds us that the word "people" in terms of corporations is a sort of legalese short cut--never a good idea, in my opinion, to mince inexact words when describing the law. - This 'artificial person' (going back to the 1700s definition) has certain rights: property ownership and contractual rights, to be specific. As such an entity, it is responsible in the courts as itself, which protects the shareholders. In other words, the buck stops (or is supposed to stop) at the corporation because the Supreme Court went ahead and made it its own thing. This, in turn, protects the owners as well, because when Hobby Lobby (or any corporation) fails financially, the actual people behind the artificial person do not suffer the immense losses involved in billion-dollar industries. - Until recently, according to the New York Times, the "Supreme Court, in business cases, has held that “incorporation’s basic purpose is to create a legally distinct entity, with legal rights, obligations, powers, and privileges different from those of the natural individuals who created it, who own it, or whom it employs.”"
- Until, of course, the Citizen's United case, where, as Slate says, the justices based their ruling not on corporations as individuals with rights but on the real individuals behind the corporations and their rights as a collective group. The ruling this week was simply an extension of this incredibly garbled, incredibly unethical ruling. What we are looking at now is Hobby Lobby owners asserting that their religious beliefs as individual people behind a corporation, should be a basis for how that corporation is ruled upon in a court of law. They are, in essence, making themselves responsible for the actions of Hobby Lobby, intertwining Hobby Lobby as an artificial person with them as real people. 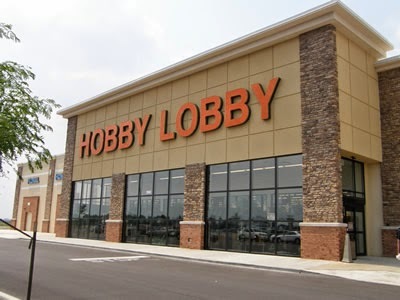 They are saying they want to become Hobby Lobby, so that they can use the business to push their agenda. And, in doing this, they also want to maintain the separation of themselves from their business when it comes to protecting their own assets monetarily. And the Court said yes. Nutshell: In ruling that Hobby Lobby can restrict women's health care, the Court has muddled two entities--the real person owner and the fake person corporation--giving the owner/corporation mutant all the protections of both--free speech, freedom of religion, freedom to engage in contracts, freedom to sue (as either entity), freedom to own property. In doing so, the Court has neglected to relook at those protections on a grand scale, so that the owners of Hobby Lobby could turn around in bankruptcy and say "just kidding, we aren't Hobby Lobby, we're the people behind it. Don't punish us." And the Court would be like, "yup, you're good." This week, we have seen the elevation of big businesses and their owners. We have seen the crippling demise of the worker, in real time. Keep in mind, the average Hobby Lobby employee makes less than $9 an hour. And who is the bad guy? Honestly, in this case, I blame our Supreme Court. Someone needs to delve into this corporation person thing and straighten it the hell out. For more on how this impacts women and society, check this post out by Life, Love, Liturgy. Sarah Galo writes about her personal struggle and how birth control is necessary for women in Relevant Magazine. Bree Davis writes about the problem with the double standard on health coverage in Denver's Westword Blog. A gripping personal tale here at Anatomy of a Mother. Sarah Seltzer writes about how this ruling sets women into a second-class status for Forward. Claire O'Connor, meanwhile, is stirring up dissent amongst commenters over what the decision actually means in the long haul, over at Forbes Magazine. Raising Kvell has a piece about the effects of this decision on women. Leslie Schwartz writes about the effects of this decision on the children, over at Build the School.